A warm welcome awaits you at Tandridge Golf Club, near Oxted in Surrey. Celebrated golf architect Harry Colt created this delightful course at Tandridge in 1924. There are spectacular views of the Surrey North Downs and the High Weald, with the front nine running along relatively gentle land and the back nine sited in more rolling and dramatic terrain. Strategically placed bunkers call for accuracy from the tee, plateau greens make for demanding approach shots and subtle borrows on the fine surfaces test your putting. The course has been fully restored and updated by Frank Pont, a specialist in Colt's design principles. Since then, England Golf has staged the English Women's Open Amateur Strokeplay on the course and the feedback from visitors is consistently excellent. With the condition of the course matching the quality of the redesign, we are delighted to be ranked in Golf Monthly's Top 100 Courses for the UK & Ireland for 2019 and 2020. 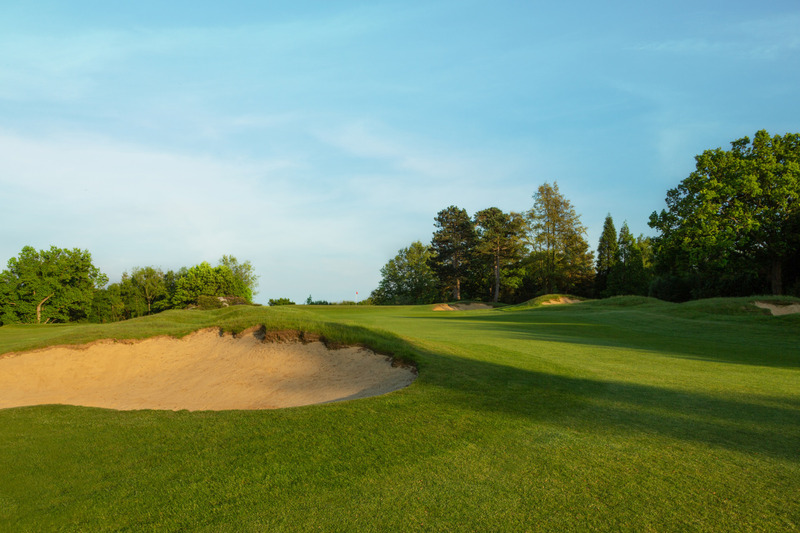 Tandridge Golf Club provides a spectacular golf course and excellent cuisine near Oxted in Surrey which makes it ideal for Society and Corporate golf days. The course sits on the Greensand Ridge so is free-draining and has the best winter condition of any course in the area. The course very rarely shuts and prepared temporary greens are only used in hard frost conditions. A society package comprising coffee & bacon roll on arrival, 18 holes of golf and a four course carvery lunch is available - view details. For societies or corporates, contact Assistant Secretary, Jane Edwards on 01883 712274. For visitors' green fees, contact Club Professional, Chris Evans on 01883 713701.